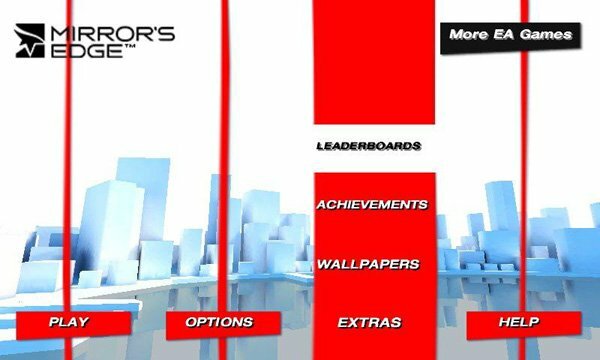 The Windows Phone Xbox Live title Mirror's Edge, from EA Games, is a 2D platformer with interesting gameplay taken from the 2010 console version. 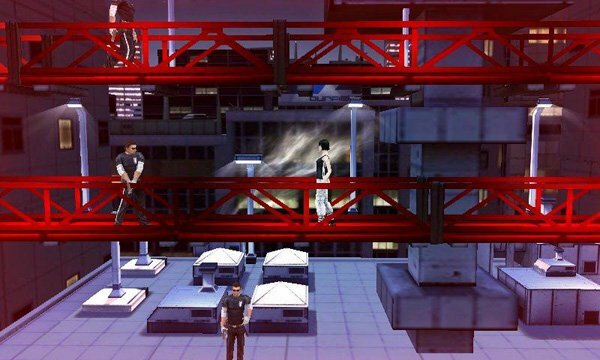 The player takes on the role of Faith and has to help her avoid corrupt authorities by performing a number of acrobatic stunts to bypass obstacles and other elements. 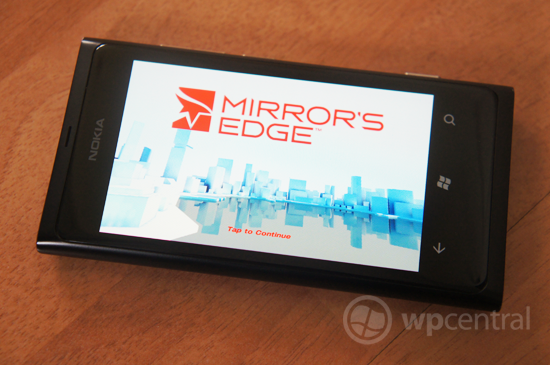 But before we continue with this excitement, be sure to note that Mirror's Edge is exclusive for Nokia Lumia Windows Phones for the time being. The graphics are impressive for mobile gaming and the menu system is intuitive (and actually works) compared to some titles available for Windows Phone. On starting the game, the player is somewhat humorlessly greeted by a loading screen with scrolling text that is similar to the lore display in Star Wars films. The actual gameplay is as you'd expect should you have played the console version. But for those who haven't had the luxury, the controls are natural and easy to grasp, but to master the timing is challenging to begin with. A number of achievements are available to give more incentive to play, and it'll definitely provide much motivation for those mobile achievement hunters. The music is up-beat and energising, which is what you need when being chased by a helicopter with armed personnel firing live rounds at your rear-end. As well as single player mode, players can also play 'Speed Run', which puts Xbox Live users up against one another to score the fastest times. Update: Check out our quick hands on and first impressions with video.